Another year on two wheels with Marco Bezzecchi in Moto2. The passion for the wood is not the only one for the Garbelotto family. The motorbikes, in fact, are between the things that Antonio, Renza and Marco love the most. The love for speed, that turned to be for Marco a second job as the young pilots’ manager, led the Garbelotto family to support the talent of Italian drivers in the most important international events. After being sponsor of Manuel Pagliani in the MotoGp championship in 2017 and in FIM CEV Moto3 in 2018 and of Enea Bastianini in the MotoGP championship in 2018 in the Moto3 category, this year is the turn of Marco Bezzecchi, who will compete in the Moto2 of the World Championship. So, this year as well, the logo of the Parchettificio Garbelotto will be around the world on the helmet of the champion, hoping it will step to the podium as many times as possible. He was born in the land of speed, Rimini, on 12 November 1998. 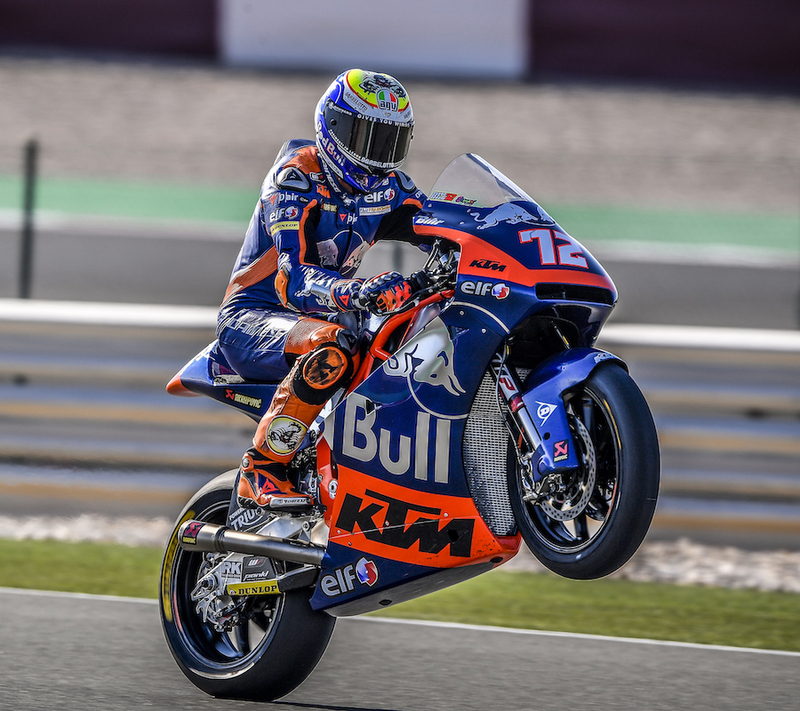 He is only 20 years old and he can already boast a third place in the MotoGP world championship, gained in 2018 by riding his KTM RC 250 GP in the team Redox PrustelGP. His passion for the two wheels dates back to his childhood: when he was only six he received his first mini motorbike as a birthday gift and he has never taken the helmet off ever since. In 2015 Bez rode his first race in the world championship in Moto3 as substitution. In 2017, he had his first season as main pilot in the Moto3 category. The 2018 is the turning year, which leads Marco to end the season in the third place of the world championship. In the 2019 season Marco Bezzecchi will ride in Moto2 for the team Red Bull KTM Tech 3 and we are with him, race after race, as sponsor and supporters. 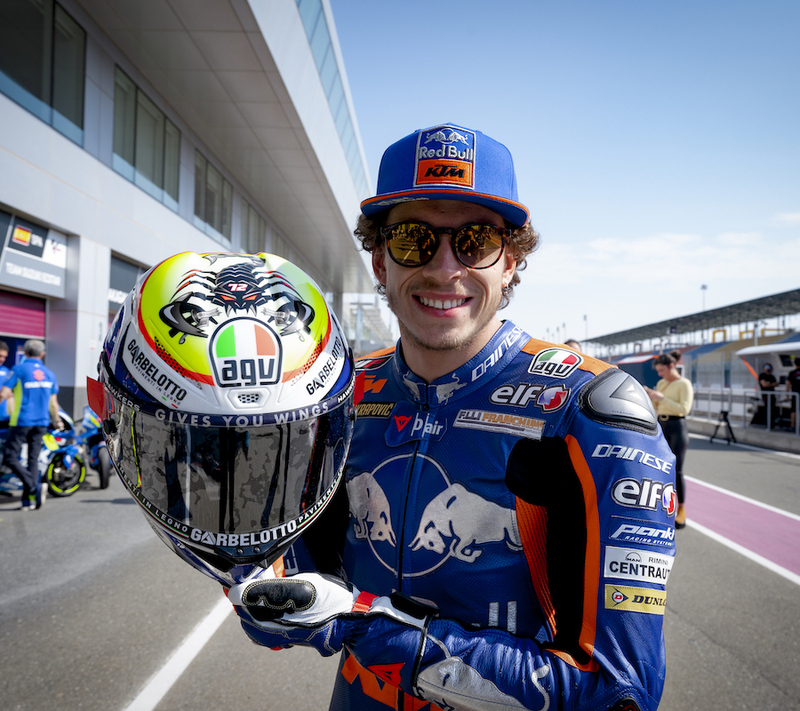 Marco Bezzecchi is one of the ten pilots of the Academy VR46, funded by the great Valentino Rossi, together with Franco Morbidelli, Lorenzo Baldassarri, Luca Marini, Nicolò Bulega, Denis Foggia, Celestino Vietti Ramus, Niccolò Antonelli and Andrea Migno. We are sure it will be a great season!